Jeff Bell, recently Microsoft’s corporate vice-president of global marketing for the interactive entertainment business, has joined DOmedia, a Columbus, Ohio-based online marketplace for buyers and sellers of out-of-home and alternative advertising media, as chairman. Bell has more than 20 years experience managing world-renowned brands and award-winning campaigns. His hands-on approach and reputation for innovation are expected to drive the vision of DOmedia and accelerate the growth of the company as he oversees its overall strategic direction. Bell succeeds company co-founder Rich Langdale as DOmedia chairman. Through his role with NCT Ventures (a primary investor in DOmedia), Langdale will continue to provide counsel and maintain an active presence in the company. With a goal of the two-year-old company to connect buyers and sellers, Bell is expected to spend a lot of time reaching out to agencies. The online marketplace encourages the creative use of people, places and things (such as place-based digital networks, street teams, sides of buildings and more) to communicate a marketing message. Innovative inventory management tools and in-depth search functionality simplify participation in this growing channel. At Microsoft, Bell led Xbox to its first profitable year and launched Halo 3, Rock Band, Gears of War, and Guitar Hero II. In addition, his global marketing team oversaw the rapid expansion of the Xbox LIVE community from 4 million to more than 15 million members through the introduction of advertising, a video store including Netflix, and a premium transaction marketplace. 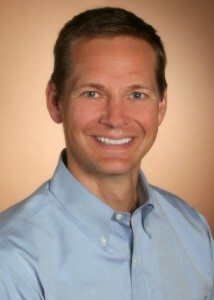 Before joining Microsoft, Bell served as corporate vice-president at DaimlerChrysler, where he was largely credited with helping revitalize the Dodge, Jeep and Chrysler businesses, returning them to profitability in a significant turnaround from 2000 to 2006 with the Dodge Ram, Jeep Wrangler and the Chrysler 300 product launches. He led the Dodge ‘That Thang Gotta Hemi’, ‘Jeep Trail-Rated’ and Chrysler’s ‘Inspiration Comes Standard’ campaigns. Bell has received numerous accolades and awards throughout his career. Advertising Age named Bell Interactive Marketer of the Year in 2005, Entertainment Marketer of the Year in 2007 and one of Marketing’s Top 50 in 2008. His work on the Halo 3 launch was recognized with the Cannes Grand Prix Titanium Lion Award for best marketing campaign of 2008. This entry was posted on Saturday, May 9th, 2009 at 12:06 @545 and is filed under Scuttlebut. You can follow any responses to this entry through the RSS 2.0 feed. You can leave a response, or trackback from your own site.